When was the flag of Idaho adopted? What are all the designs on the Idaho flag and what do they represent? Where can I buy a Idaho flag? How are you supposed to fly your American flag and your Idaho flag together? 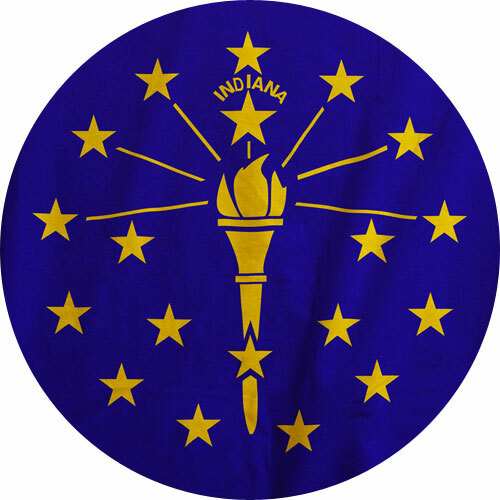 The state flag of Idaho was originally adopted by legislature in 1907. 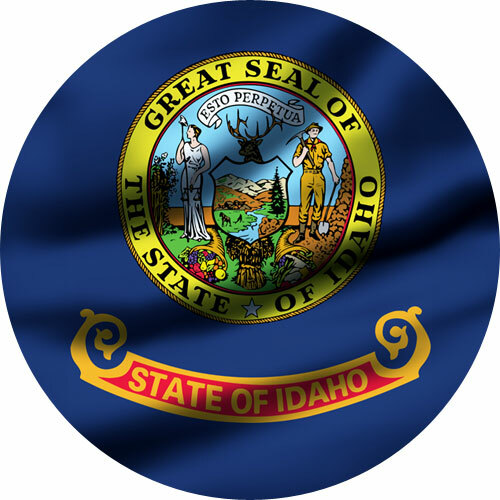 The flag contained the State seal, but with only the pictorial information, which left out the words “Great Seal of the State of Idaho”. 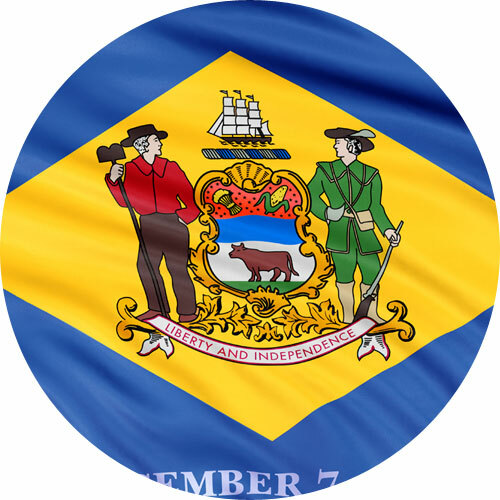 The was remedied by law in 1927 which ensured the entire Seal, words and pictures would continue to be an element of the State flag. The Great Seal of the State of Idaho was designed by Emma Edwards Green. 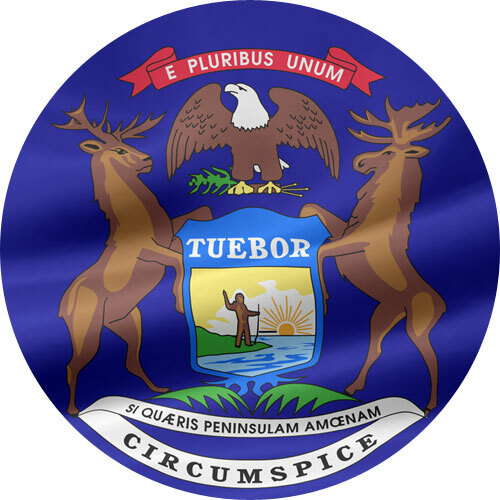 The Seal was adopted in 1863, then redrawn several times before it was granted statehood in 1890. In 1957, Idaho legislature authorized more updates to improve the Great Seal. These updates were meant to more clearly define Idaho’s main industries, agriculture, mining and forestry and to better highlight the state’s natural beauty, thus resulting in the beauty of the Idaho flag today. The flag of the state of Idaho consists of the State Seal of Idaho on a field of blue. 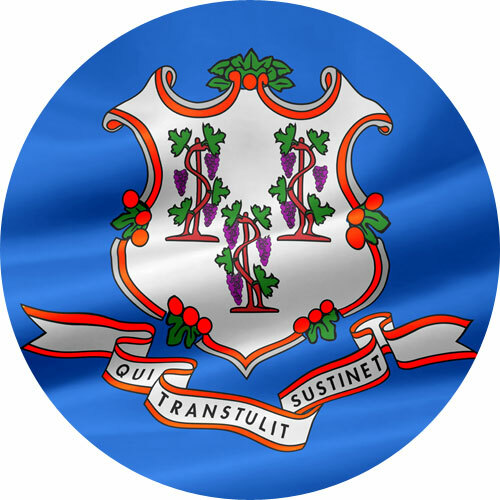 On the seal is a woman holding scales and a liberty cap which represents liberty and justice. The man is a miner with his pick and shovel representing the mining industry of Idaho. The woman and man are the same height which portrays the fact that they are considered equal. At the woman’s feet is the state flower, the wild Syringa or Mock Orange. Beside her is ripened wheat which has grown almost as high as her shoulder. The two cornucopias, or horns of plenty, refer to the horticulture resources of Idaho. The elk head above the shield represents Idaho’s protected game animals, the moose and elk. Above the elk’s head is a banner with the State motto in Latin, Esto Perpetua, meaning, “Let it be perpetual” or “It is forever”, suggesting the wish that Idaho may last forever. On the shield the pine tree refers to Idaho’s timber industry. The man plowing and the sheaf below the shield, represent the agriculture resources of Idaho. The river on the bottom of the shield is the Snake or Shoshone River. The white star on the outer ring of the seal, symbolizes Idaho as a new light in the galaxy of states. 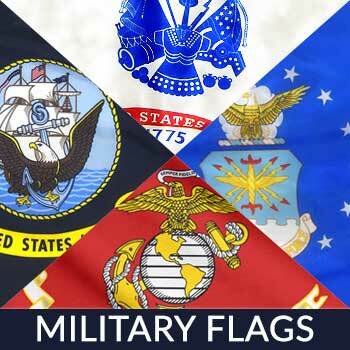 To get a flag that has bright, beautiful color and is also sturdy, go to Star Spangled Flags. 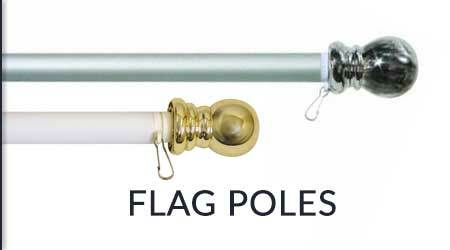 Their flags hold up strong against the elements and are treated with a UV protectant against the bright sunlight. They are 100% made in the U.S.A. and come with a customer satisfaction guarantee and they also provide free shipping! 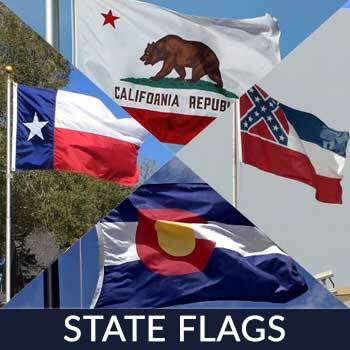 When flying the Idaho and American flag on the same pole, the flag of the United States must always be at the top and the Idaho flag should be the same size or smaller. When It is flown on separate poles, the Idaho flag will be to the left of the flag of the United States situating the U.S. flag in the position of honor, which is to the right of the other flags. Idaho is located in the northwestern part of the country and bordered by British Columbia to its north, Washington and Oregon to its west, Wyoming to its east and Utah and Nevada to its south. Its official nickname is “The Gem State” due to the abundant gems found in the area. It’s sometimes also called as the “Potato State” because of its most popular crop. The top three industries are manufacturing, agriculture and tourism. There are many fun festivals and tourist spots in Idaho. According to the U.S. Travel Association, Idaho’s tourism industry hauls in about $3.4 billion, employs about 30,000 locals and generates $500 million in tax revenues. Shakespeare Festival – Takes place from June – September and is one of the best family events in the state. Seniors over 65 and even kids under 6. The festival has been around for more than three decades and has continued to entertain and educate its audience while supporting artists, playwrights and its many artistic staff. Picnicking is encouraged! Coeur D’Alene and Sandpoint Wooden Boat Festivals – the boat festival takes place in August and draws in exhibitors and boat enthusiasts. The event showcases antique and classic boats, kiddie boat building booth, model displays, vendor booths, a wine bar, food booths, treasure hunts, games and contests. And a parade of boats. Lewiston Roundup – A rodeo fair-like event for the entire family, this celebration has been around for over 8 decades complete with performances, bucking, food booths, crafts and plenty of activities for kids to join in. It’s more than your regular rodeo event. International Selkirk Loop – is a scenic drive that loops around the Selkirk Mountain and travels from the Canadian border all the way down to US Highway 95. It goes through many outdoor attractions along the way, which is why it’s more than just a loop to visitors, it’s a whole new adventure. Sun Valley – Sun Valley offers a wide range of outdoor recreation; biking, hiking, golf, fishing, river rafting and ice skating (during the winter months). Its awesome location and majestic scenery draw visitors from all over the globe. Craters of the Moon National Monument and Preserve – Entertaining and educational, the Preserve allows visitors to explore and understand lava landscape, lava cones, caves, and craters. It is also a popular spot for Snowshoeing and cross-country skiing during the winter months. 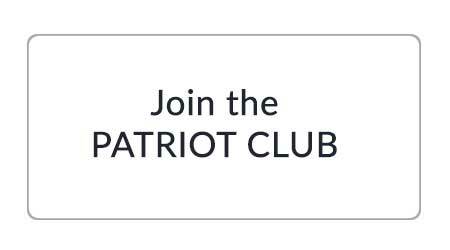 If you’re a proud Idahoan and a proud citizen of this nation, then show it. Take advantage of the national celebrations and events happening in your state to show how much you respect and support your country, remember you only have one. 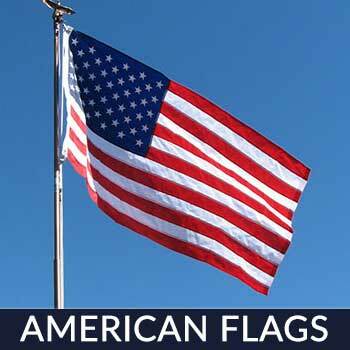 Do you own a flag to fly during these festive celebrations? Want to own one? Reach out to us! 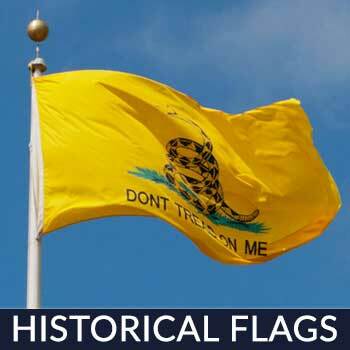 We have the best flag you can find on the market and it’s PROUDLY US MADE. Made from durable HEAVYWEIGHT 200 denier nylon with multiple lock stitching for increased strength. Contact us today!